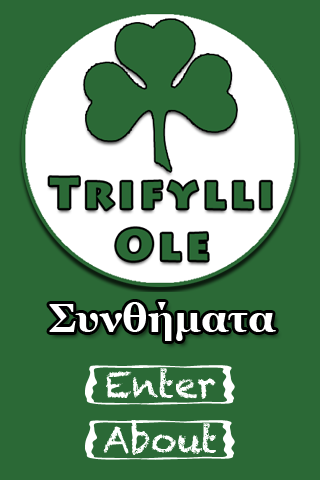 Trifylli – Ole app is the great opportunity to have into your hands through your iPhone some of the nicest hymns and chants of Athens’ Greek team! No matter where you may be, just feel being inside the stadium and in your favorite’s team tiers, singing and shouting for your team! 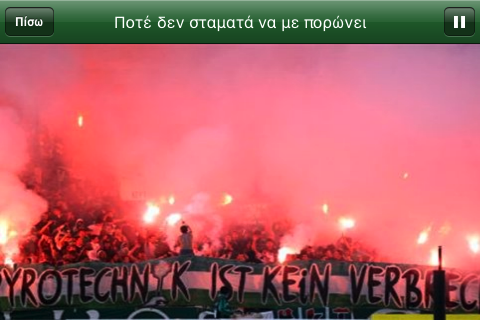 All chants included in this app are real sound recordings from the stadium! 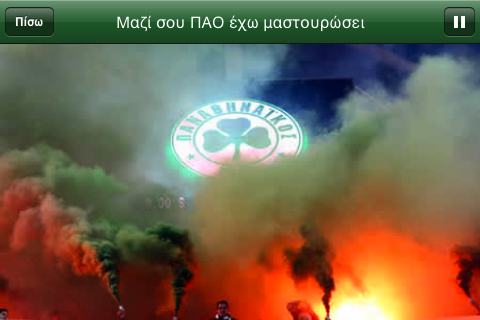 While listening to the chants, watch some great photos, where stadiums, tiers and fans keep rotating on your iPhone’s screen. Don’t lose time. 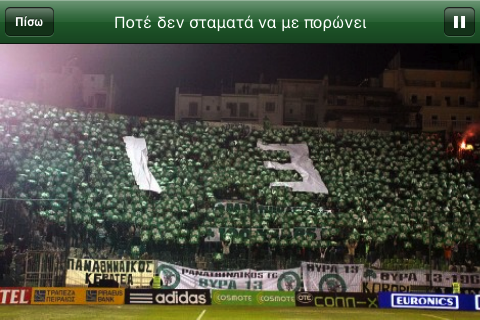 Keep your love and passion for your team alive! 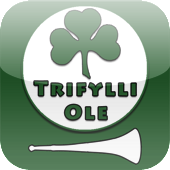 An app for every fan who wants his team and stadium anywhere and anytime! 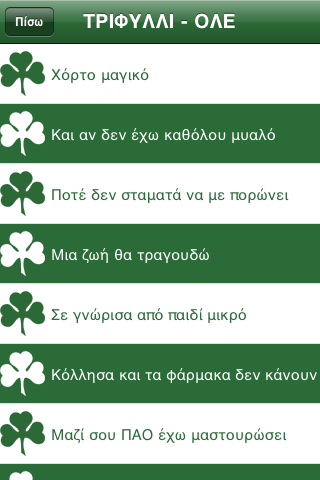 *Note: This application is intended to be used by people having Greek origin as all the chants are in Greek.